Mostly but not entirely from Les Crais, this is bright-mid purple, and is particularly fine, with a brilliant, intense cherry and raspberry fruit. It has a crisp finish yet is dense and silky at the same time, long and fine. 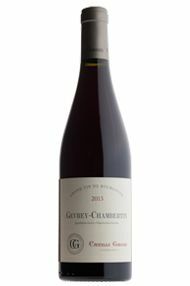 The Wine Advocate - The 2013 Gevrey-Chambertin Villages, which comes mainly from Les Crais, has a slightly pinched redcurrant and boysenberry-scented bouquet with fine delineation, although I would like to see more vigor. 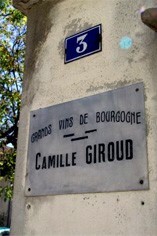 The palate is medium-bodied with silky tannins, well-judged acidity and a very harmonious, perhaps tame, finish. Very well crafted.